Each section includes inspiring stories of angelic intercession in the lives of people in response to their faith and prayers to God and His angels. Everyone has heard angel stories. Angels pull people back from the edges of cliffs and out of the paths of oncoming trains. They warn people to avoid dangerous situations. They guide those facing tough decisions. They comfort, enlighten and heal. But how can you get the angels to help you? You can learn how to develop a relationship with the angels so that when you call, they answer. 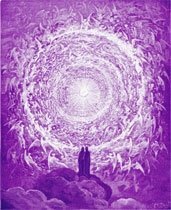 You'll read how people have used specific techniques to receive angelic guidance and inspiration. And how the angels go to work for them, handling everything from the mundane details of life to miracle cures to highway rescue. 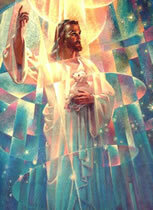 Top of page: Cover of How to Work with Angels; Copyright © 1996 Summit University Press, P.O. Box 5000, Corwin Springs, Montana 59030-5000 U.S.A.